BLEMISH BAGS ARE DISCOUNTED CALL US 706-705-0025 For 2-into-1 Exhaust. Small defects, it could be thin outside gel coat will need extra primer and/or few pinholes and/or some markings on the inside, it varies on what is needed, very good bags nothing we would throw out and if Nick is not happy with a part its junk to him! 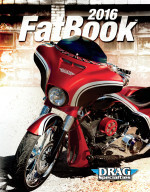 Will fit Softails with bracket Softail and our Accessories page. Uses factory lids and hardware nothing extra needed.